Well, at least I more or less knew what I was getting into, as it was abundantly clear from the synopsis that this book would be chock-full of disturbing content. I mean, there was obviously going to be sexual abuse, right? However I can’t say that preparing myself for the inevitable made it any easier when it came around - the discomfort I experienced during some scenes was fierce, but I think it was worth it overall. I really enjoyed the format of the plot; the interview process and the accounts of certain events that took place within the garden. It was much of a beautiful nightmare; I say beautiful because the garden itself was a green thumb’s paradise. The writing clearly did well in expressing how exquisite the surrounding flora was - I would absolutely adore living somewhere like that, only of my own free will, of course. The darkness that lurked behind its exterior brought up the topic of ugly secrets hiding behind attractive fronts, which I believe can apply to a lot in today's world. I found Maya to be extremely difficult to comprehend at times, and even like in some instances. Sure, I understood her hardships in life and the resulting effects on her mental state, but emotionally detached characters are generally harder for me to relate to. Her behaviour didn’t make much sense, even with the inclusion of the lacklustre twist at the end. I mean, you’d have to be a machine to just accept the fate of suddenly being a prisoner, and Maya was the definition of the perfect captive. This leads me to my biggest gripe that I couldn’t ignore about this book - the complete lack of self-preservation. The women were young and fit, and they never considered working together to overpower their much older captor? They even had access to a multitude of items that could have been used as weapons, such as sculpting tools and the likes. It does bother me when I need to question the plausibility of a story, as it’s the authors job to sufficiently build up a believable, consistent narrative. My suspension of disbelief can only go so far. It's because of the absurdity of the characters that I didn't particularly favour any of them. Sure, one or two were likeable enough, just like the clear-cut villains were dislikeable, but none made their way into my heart. It was too bad, to say the least, that there was this constant barrier of doubt and incredibility that I couldn't bypass. I need to mention the ending, or specifically, the attempt at a last minute revelation. I’m an enormous fan of plot twists, of those moments that force me to rethink, or surprise me to a large degree, but not every book needs one. In fact, I believe that, in this case, it was shoehorned in as a poor effort to try and explain Maya’s bizarre behaviour. In no way, shape, or form did it thrill or even interest me, and I considered it having little value. I won't outright state the details, but it was the wrong direction for the story. This review reads significantly more negative than what my final rating displays. 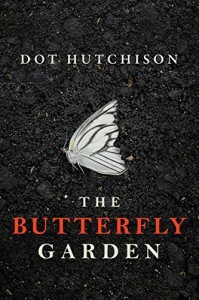 I think I should be clear that I was gripped, and it was difficult to tear me away from Hutchison’s grim tale despite the issues I had. I'm fond of dark fiction that touches upon horror aspects, and this really did tick a lot of boxes in that regard; there were many taboo themes, and the writing made it simple enough to become quickly absorbed. Perhaps it would have even been a top read, had some aspects been a little more logical. In conclusion: It was remarkably entertaining, offering a twisted account of one man's obsession with beauty. Not for the faint of heart, as depictions of abuse were plentiful throughout. I had my problems with believability, and whilst I couldn't exactly dismiss those issues, I found it only right that I rated accordingly. Am I going to read further into the series? I can honestly say that it doesn't appeal, as I've glanced over numerous reviews that state it's more police / investigation work, and I'm not into that sort of thing. Like beauty, desperation and fear were as common as breathing.